There are more than 9,500 parking spaces in 15 locations keeping it simple and convenient to come downtown. So while you are dining at one of our more than 85 restaurants, shopping for the perfect gift, seeing the latest blockbuster movie or live performance or attending one of our free events – you won’t have any problems parking downtown. Click on map “P” below for specific facility details. Introducing Parkmobile. Check it out here. Look for the orange “P” signs in the downtown. They will lead you to convenient, reasonable parking. You’ll find that all your daytime or evening parking needs are fulfilled. 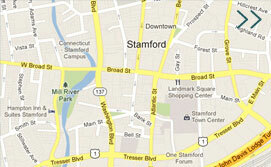 Looking for more parking information, check out the City of Stamford. 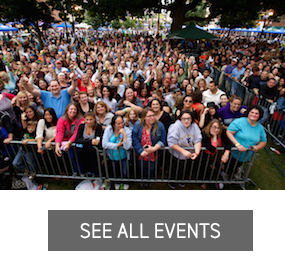 Information about Stamford Town Center Parking here. For facility details, hours of operation and larger map, view at Parking in Stamford Downtown or for a printable version download our Parking Map 2017-2018.